The club meets in Rockville! The 2000 Winter Season is underway! 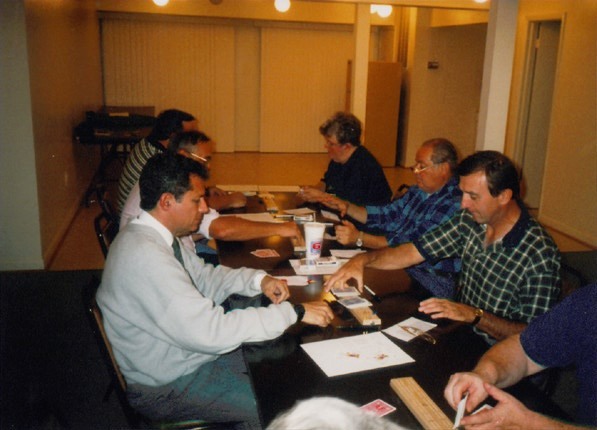 The Germantown Peggers Cribbage Club now meets in Rockville, Maryland, we are associated with the American Cribbage Congress as a grassroots club. Peggers of all skill levels are invited to join the club for the weekly Tuesday night tournaments. Cribbage Rules and some Tips for better play! and was last updated on October 31, 2000.